Zaffiro Glamorous, modern elegance with a touch of traditions is what tis sofa collection is all about. 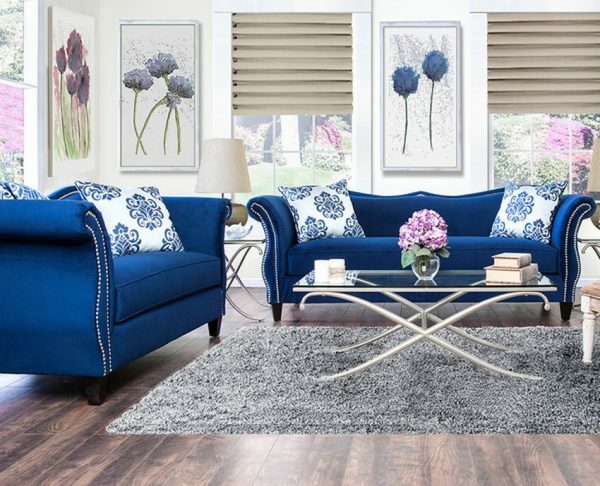 A very trim take on a classic English arm sofa, featuring curved pleated arms and a single row of nailhead trim across the back and front of arms. 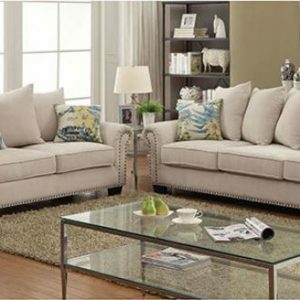 Elegant and modern sofa with a comfortable yet stylish slender bench seat stands gracefully on tall tapered wooden legs. Royal Blue living room set, romantic style, bench style seat, sweetheart style back High Density foam cushions.